Check out this insane collaboration between resin master Healeymade and artist extraordinaire Christopher “Coop” Cooper! 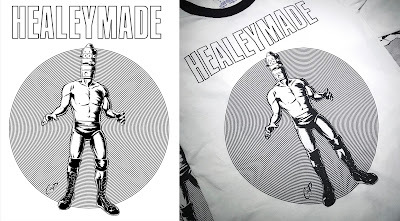 This epic new Healeymade t-shirt features Coop’s drawing of Healeymade’s signature character, IG-BABA. I mean who wouldn’t want a Lucha Libre version of Star Wars’ IG-88 on their chest!?! This tee is seriously an instant buy for The Blot. 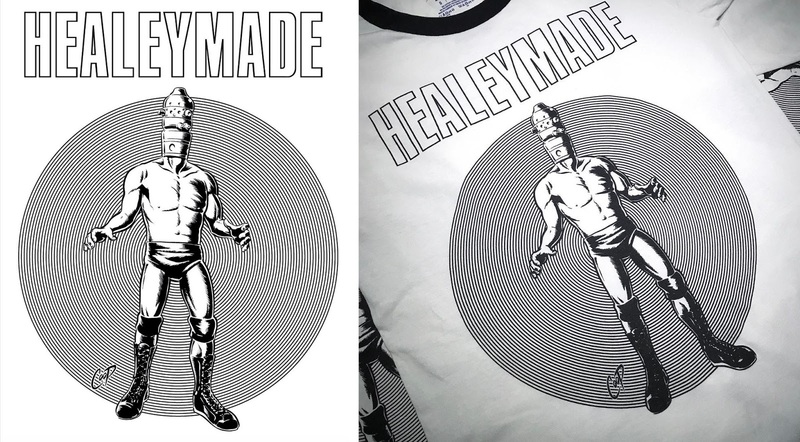 Fans of both Healeymade and Coop can pick up this fantastic collab now at the Healeymade online store in sizes S-XXL on a ringer tee for $25 each. Here’s hoping we see a matching screen print of the design released by Coop sometime soon!